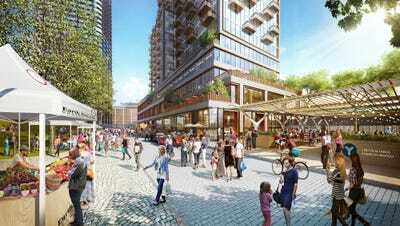 Sterling BayA rendering of the Lincoln Yards redevelopment project. This week, local developer Sterling Bay unveiled its plans for the site – just in time for Amazon’s tour of the city. Although the details of the visit remain a secret, The Chicago Sun-Times reports that the company’s HQ2 selection team will peruse at least three of the proposed locations on Wednesday and Thursday. 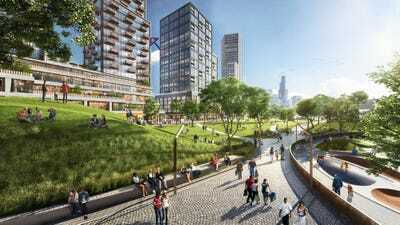 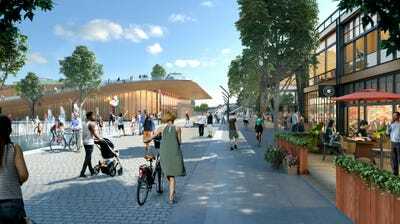 For the Lincoln Yards project, Sterling Bay plans to invest up to $US10 billion redeveloping over 70 acres of former industrial land along the Chicago River on the city’s North Side. 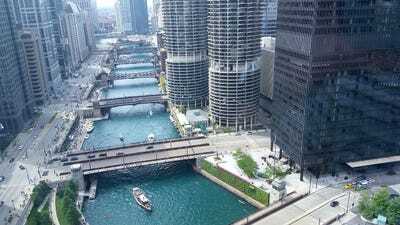 Wikipedia Commons/OmidGulThe North Side of Chicago. 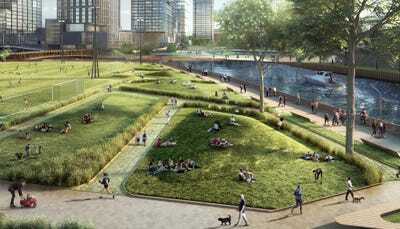 If Amazon picks Chicago, it could come to all – or a combination – of the 10 proposed sites. 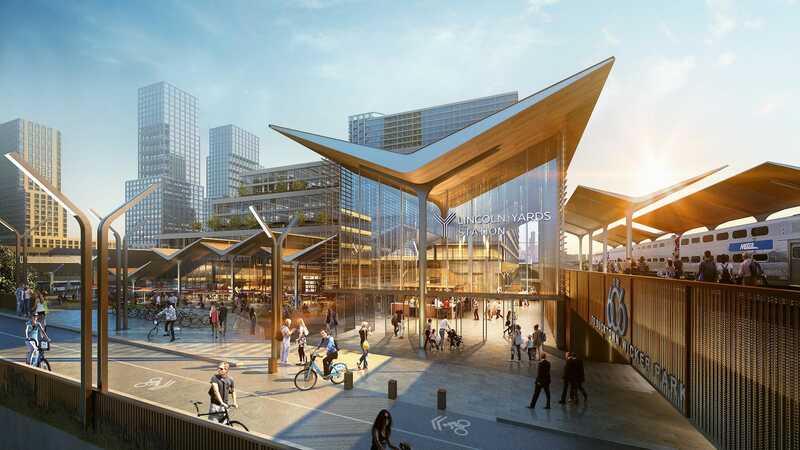 These include two in the city center (The Downtown Gateway District and City Center Campus), two outside the city (Motorola’s former headquarters in Schaumburg and McDonald’s former headquarters in Oak Brook), and six in industrial areas surrounding the city (The River District, Fulton Market, The Illinois Medical District, The 78, Burnham Lakefront, and Lincoln Yards). The site includes the former A. Finkl & Sons steel plant property, which was demolished in 2015. 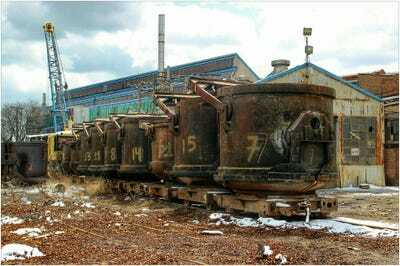 Here’s what the plant looked like in 2014. … and a farmers market. 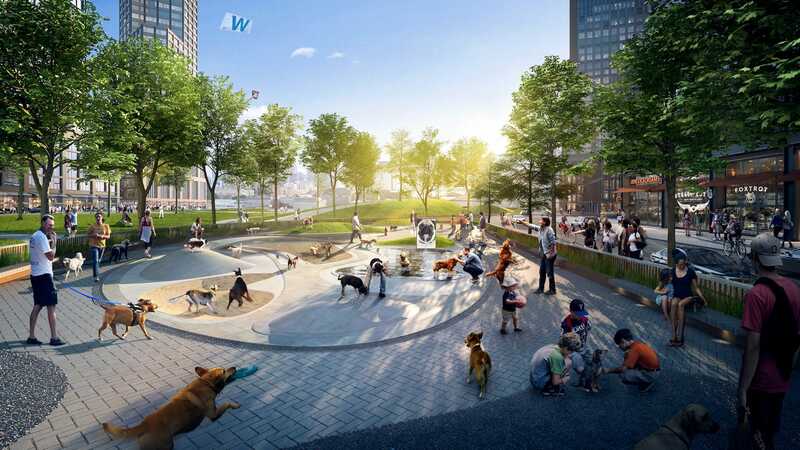 The Lincoln Yards arts and entertainment district would feature wide pedestrian walkways, footpath cafes, and a water park to cool off in the summer. 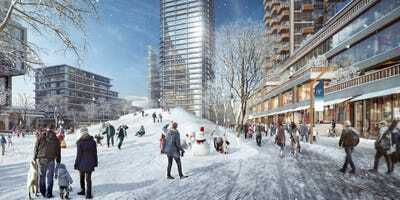 In the winter, residents could ride down Lincoln Yards’ sledding hill. 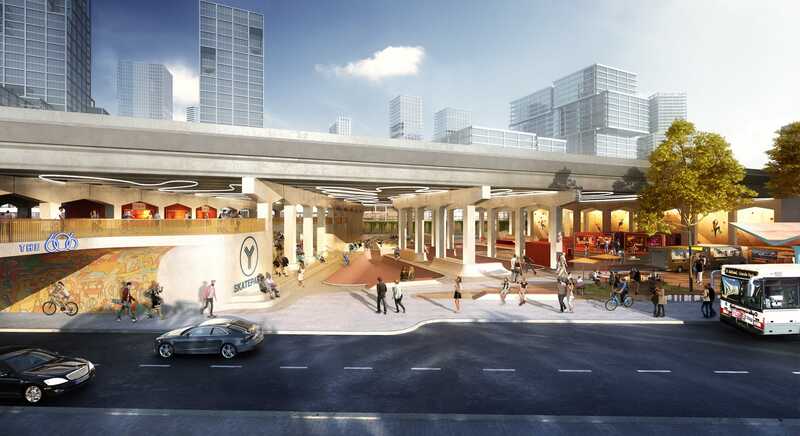 In conjunction with the expansion of the 606 — Chicago’s elevated jogging and biking trail — Lincoln Yards would connect to a new skate park and climbing wall under the expressway as well. City officials will likely talk up Chicago’s mass transit system, access to university talent, relatively low costs of living, and major international airport. 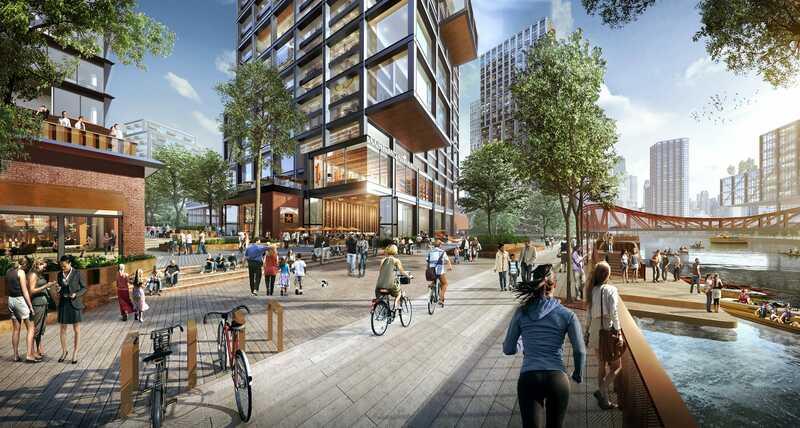 Amazon will make its decision in 2018 and could begin construction as early as next year.